for providing me with products to review, free of charge. These are my own honest opinions. Taking care of myself and finding time for myself has been a real challenge since becoming a mom. It’s not that I don’t care but there always seems to be something more urgent than getting some ‘me’ time. I know that I do need that time though to recharge and relax so I’ve been trying to incorporate more indulgence into my everyday activities. One of my favorite things to do to relax is to take a hot shower or a nice bath. Since that’s something I have to do anyways, I don’t feel nearly as bad taking the time soak for a bit. And I feel like a splurge and extra pamper myself by choosing great aromatherapy products like Pirouette‘s. Pirouette specializes in the ‘art of pure pleasure’. 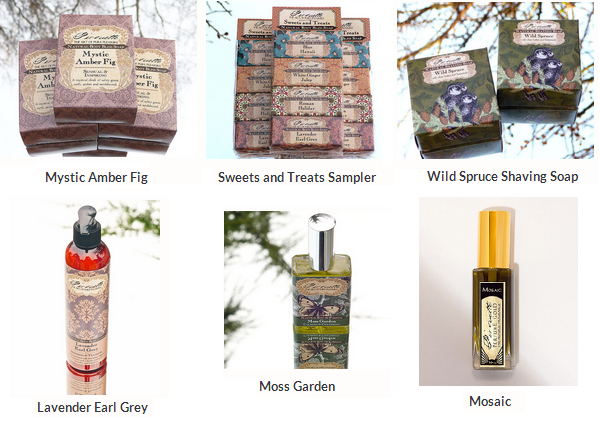 They offer a great selection of essential body luxuries for men and women including soaps and lotions as well as artisan perfume designed specifically to be both relaxing and nurturing. They believe in the power of taking time for oneself and how important that is for our health and happiness. Pirouette’s products are handmade using the best of nature. They are vegan, eco-friendly, and cruelty-free. The packaging is also eco-friendly: 100% recycled paper boxes for the soaps, and reusable/recyclable bottles for the lotions and perfume. Not only do they do their part for the environment, they are also socio-responsible and donate 10% of their profits to charity. For this review, I received many products to try: Pink Grapefruit Tomato Leaf Soap and Lotion, White Ginger Julep Soap, and a set of 4 1-oz Pampering Spa Clays (they are actually clay-infused soaps). First of all, the aromas are amazing! Pirouette artfully combined botanicals to create unique products that truly and positively affect your mind. For example, the Pink Grapefruit and Tomato Leaf’s scent is uplifting and refreshing whereas the Lost In The Forest’s scent is centering and nurturing. The first product I tried, right after opening the package, was the lotion. Made with organic aloe vera, grape seed oil, olive oil, and shea butter, this lotion is designed to be extra moisturizing. It is quickly absorbed by the skin and leaves no greasy residue. All that’s left is soft, healthy and mildly perfumed skin! Then I tried the soap bars. They are made with sustainable oils from coconut, soybean, sweet almond, safflower and jojoba as well as glycerin and essential oils. 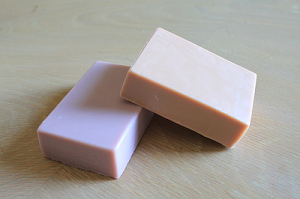 They are gentle enough to be used daily even for people with sensitive skin. I tend to have dry skin, except on my face which can be oily. I found the soaps were very effective as moisturizing my dry skin without making my face extra oily. The products that surprised me the most are the clay-infused soaps. Each one is made with a different clay for a different purpose: sea clay is soothing, rhassoul clay is restoring, Moroccan red clay is revitalizing, and French clay is nourishing. They are designed to soothe, nourish, and detoxify. These soaps are again very fragrant and the selection of essential oils and botanicals was carefully chosen to match each clay. For example, the Deep Sea Sanctuary made with sea clay (soothing) is scented with lemongrass, rosemary, and lavender. It’s almost impossible to choose just one but I think I had a ‘coup de coeur’ for Lost in a Forest. I can just close my eyes and feel like I’m in the middle of an old peaceful forest of spruce and pines. 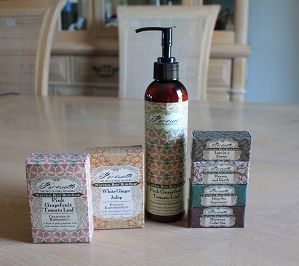 Overall, I am really pleased with Pirouette’s skin care essentials. Not only are they eco-friendly, they are also beautifully scented and are great for anyone who wants (needs!) to pamper themselves. With so many great products to choose from, you’ll definitely want to take those extra 5-10 minutes to take care of yourself and your body and your mind will be happy you did! Buy It: Head over to Pirouette to see for yourself the great selection of pro-earth and pro-people self-care products they offer. Pirouette is kindly offering Emily Reviews’ readers a 15% discount on their purchase. Simply use EMILY15 during checkout. This coupon is valid until November 16th. Connect: Don’t forget to like Pirouette on Facebook for all the latest news and promotions. First off – I LOVE the packaging! Thanks for the honest review. I want to try the lavender earl grey. Great review. I love your honesty and I really want to try some of them. I’ve never heard of this brand, but they sure do have beautiful packaging, and now that I’ve read your review I’ll be sure to check them out. Interesting…I’ve never heard of them, but I’m off to check out the sale! That is such gorgeous packaging! I love when companies go above and beyond to make their products beautiful! I love the scent of trees and the earth, so know I’d love Lost In The Forest’s scent. I’ll have to try these out or hint that I want them on my birthday!